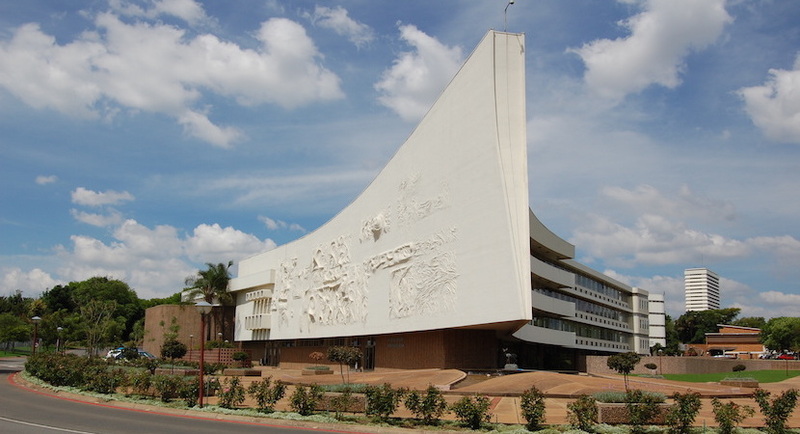 The University of Pretoria (UP) successfully won a court challenge against its “English only” language policy in December 2016. Since then, it prepared the way for this policy to be implemented. Last week, the UP found it necessary to announce that from this year, all first-year students will only be taught in English. This is not new, as the decision was already taken almost three years ago. Nevertheless, the statement by the UP warrants analysis and commentary, for three significant reasons. Firstly, the media statement made by the UP’s spokesperson, Rikus Delport; secondly the comments by the newly-appointed Vice-Chancellor, Prof Tawana Kupe; and thirdly the tweet on the issue by the Minister of Finance, Tito Mboweni (being a former Chancellor of the former University of the North-West in Mafikeng). Delport told the media that the reason for the English only policy was that the demand for Afrikaans had dropped, firstly below 50% and later to only 18%. The underlying argument is that if too few citizens want to exercise their constitutional right to education in the language of their choice where that is reasonably practicable (as it was at UP), those rights can just be taken away by an Organ of State, and in the case of a university, institutions serving a public function. What Delport did not say is that the English only policy and its support by the University, became a self-fulfilling prophecy. Fewer students who want to study in Afrikaans will go to a university denying them that right. Delport also gave a reason for English only that is in future bound to border on the comical. To use only English (the language of the main colonial oppressors of Africans in the past) will “facilitate social cohesion” and make the campus “more inclusive”. It is difficult to see the logic in taking away the constitutional rights of even 18% of your students and claim that it will serve inclusivity and social cohesion. Perhaps it may be logical in politically-correct speak. Vice-Chancellor, Prof Tawana Kupe, responding to an enquiry by the Sowetan, gave two more reasons for the English only policy. Both are very illuminating and may give the real reasons behind the policy. According to the Professor “(t)he minute we use two languages people think it is still an Afrikaans university. But now it is just a South African university”. It is therefore important for the UP to be a South African university – and show it by killing a South African language in its classrooms (and not really do anything concrete about the development of the other nine South African languages, especially Sepedi, spoken in that part of South Africa). English only therefore equates to a South African university (in a country where the Constitution gives the State and State Organs the mandate to develop all indigenous languages). The new first-year students would be hard-pressed to see the logic in this reasoning. But the ultimate reason (where the UP’s petticoat is really hanging out) is the second comment by the Vice-Chancellor: English only “will help the University reduce costs as everything was duplicated”. Now this at last makes financial sense and is at least truthful. The question, however, remains whether a constitutional mandate to foster multi-lingualism can be abrogated by the claimed lack of money. What would happen to other constitutional rights if the same logic applied? The perhaps surprising tweet by the Minister of Finance is interesting. In his typical emphatic way, he tweeted: “I publicly, and in my personal capacity, DISAGREE, with the phasing out of Afrikaans as one of the mediums of teaching at the University of Pretoria. As a country, you are shooting yourselves down. You will regret it in 30 years’ time.” I cannot speak for the Minister, but it is fair to comment that his words “as one of the mediums of teaching” are undergirded by a belief in the importance of multi-lingualism. He probably also knows that UP and the majority of universities pay lip service to multi-lingualism. His admonishment is interestingly not only applicable to the UP – the country as whole is going to regret the English only policy and the consequent lack of language diversity in the future. One cannot agree more, and the Minister’s warning applies especially to the two universities where Afrikaans is indeed still used a medium of teaching: Stellenbosch and the Potchefstroom campus of North-West University. May the two Vice-Chancellors, the councils and the management of those Universities (as Organs of State) heed his words and take the constitutional mandate of multi-lingualism, the development of indigenous languages and the right to education in the language of one’s choice (where practicably reasonable) seriously. To make the exercising of this constitutional right increasingly impracticable by appointing more and more lecturers who cannot or would not lecture in Afrikaans, may not be illegal, but it is at least dishonest, if not immoral. It also makes English only a self-fulfilling prophecy. In the High Court case on the UP’s language policy, the University used the argument of “equal discrimination”. According to this highly-wrought and forced argument, a learner with Afrikaans as home language may not receive university tuition in his/her home language, if it is not also true of a learner whose home language is, for instance, Sepedi. There must be “equal discrimination” against these two learners: they must both be forced to be taught in their second language. If this argument was not so tragic, it would have been funny. Not only does it leave white English-speakers out of it (they may have tuition in their home language), but it also uses the UP’s lack of development of Sepedi as a medium of instruction (over many decades) against Afrikaans students. Furthermore, the consequences for the constitutional principles of equality and fairness would be devastating if this argument would be applied widely. If one person has the money to hire an expensive senior counsel, and the other does not, the Court will have to say that there should be equal discrimination and they must both hire an advocate at the same cost. This would be unthinkable and objectionable. Why is the same argument with respect to medium of instruction at UP not unthinkable and objectionable? The statement by the UP (obviously issued now to show that it is not Afrikaans at all anymore) is not news. It is, however, a timely reminder to the Universities of Stellenbosch and North-West as public institutions and Organs of State to take their constitutional mandates in this regard seriously. The policy of the UP (and similar arguments often heard from business leaders) that English is “good for you”, is deeply patronising. It flies in the face of constitutionally-mandated multi-lingualism and the constitutional right to receiving education in the language of your choice. The fiscus should, furthermore, make provision for the institutionalisation of multi-lingualism (and promotion of constitutional imperatives). Universities should not be able to use a lack of funding as a reason not to strive for multi-lingualism. Theuns Eloff, Executive Director, FW de Klerk Foundation.